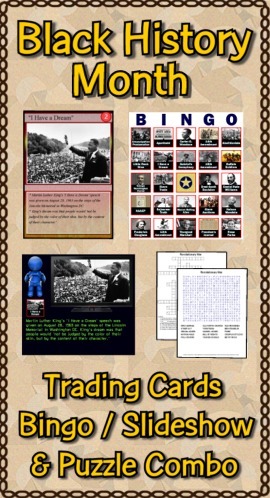 The Black History Month combo pack contains the deck of 54 trading cards, the Bingo/Slideshow (PC & Mac) software with 40 bingo cards, two crossword puzzles and two word searches. Bonus features include additional games, directions for making trading cards, and instructions to make your PowerPoints talk. 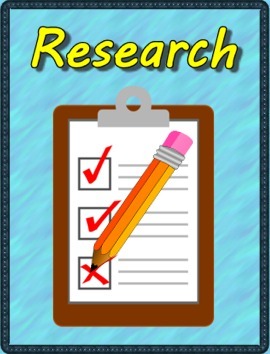 I'm so glad I found this great resource to use as review! PERFECT resource for my computer lab! Thanks! This online slideshow presentation highlights the history of African enslavement from 400 BC to emancipation in the 1800s. Included are narratives describing the transportation of slaves from Africa to the New World, slave life, rebellion and freedom. Ideal for a classroom presentation on a SmartBoard!